The SB40C provides the perfect presentation of all your hot foods including hot starters meat prepared dishes especially asian dishes for the self serve environment. The unit will take any combination of containers upto 150mm deep total area of 4/1GN. 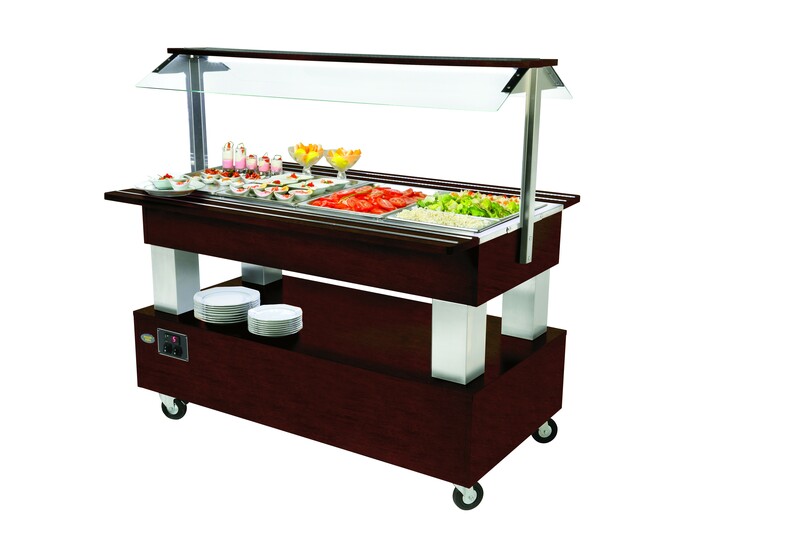 Fully mobile with 2 locking casters this unit is ideal for hotels where food is served in a multi function area. The body of the unit is made of wood and is available in 4 colours: light oak / dark oak / mahogany/White.